BPM defines four basic principles that you must follow in order to successfully take care of processes. In this article, the first principle, 'Processes are assets' is presented. 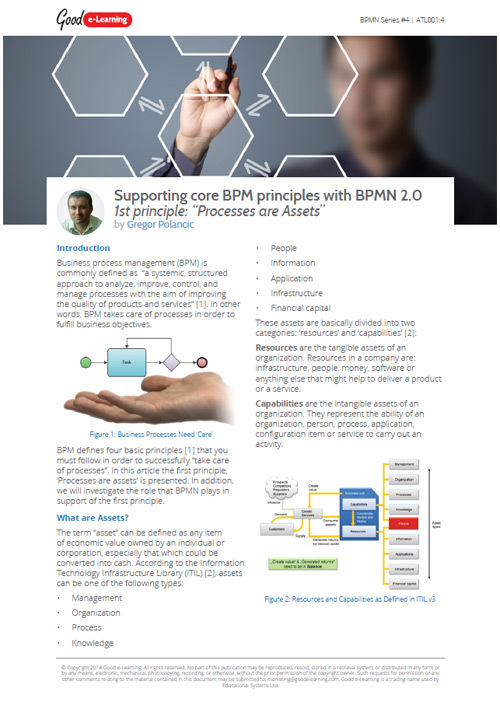 In addition, we will investigate the role that BPMN plays in support of the first principle.